Preventative and predictive maintenance – the two types of proactive maintenance – in today’s machine shop are often considered a “future goal”, a “necessary evil”, or even a “waste of time and resources”. 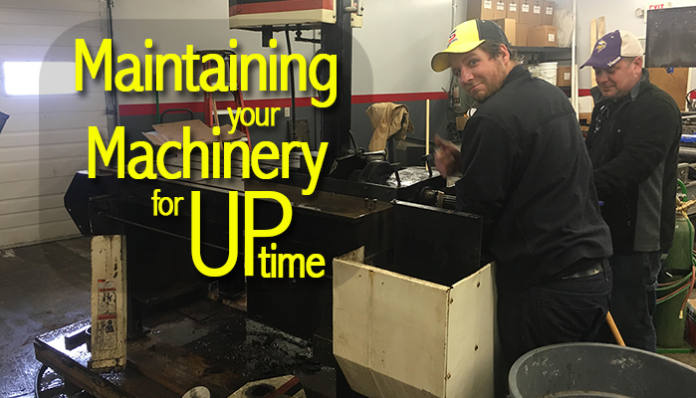 Unfortunately, many required maintenance services and scheduled repairs are replaced by hectic run schedules, tightening maintenance budgets and higher demand for machine runtime. 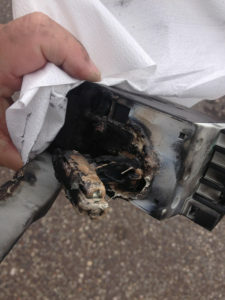 Putting off your proactive maintenance can turn out to be costly. In fact, many times unscheduled downtime rates can quickly exceed value of routine repairs and scheduled downtime. Add to that improperly processed parts and quality issues and that real cost of improper maintenance increases dramatically. There is also a consideration to the safety of shop employees and operators. A well maintained machine cell helps create a safe environment for everyone nearby. All of these factors should make today’s shop owner think about initiating a proactive maintenance program and incorporating it in to day-to-day operations. Of the three types of maintenance, Preventative, Predictive, and Reactive, Preventative maintenance is the easiest program to implement. This is simply a thorough machine inspection at routine intervals to identify potential machine component failures prior to the point where they will cause downtime. Daily or weekly machine inspections often done routinely by the operators. 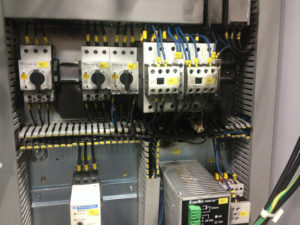 These inspections are typically visual checks of oil levels, machine guarding, switch operation, and overall condition. 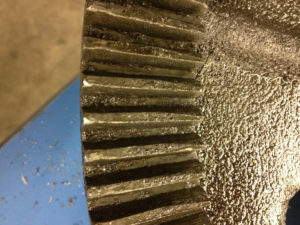 Monthly and semi-annual machine inspections are typically performed by maintenance personnel and include thorough lubrication of wear points, oil changes, calibration verification, disassembly and inspection of wear components and reporting as necessary to production to communicate the machinery condition and repairs that will be necessary in the near future. On-site maintenance personnel can often perform annual inspections, but many companies opt to allow factory authorized technicians to handle these services. Annual services include many of the same points and inspections as the weekly, monthly, and semi annual, but often with a discriminating eye for detail that only experience and training can help with. At Guide Failure – If you stock spare guides, you may opt to replace them at the time that failure is indicated. After replacement and verification, production will resume, although there will likely be sorting by a quality assurance employee to determine rework necessary due to the failure. On Preventative Maintenance Inspection Indication – when wear of the guides’ reaches a level where replacement is going to be necessary in the near future, parts can be ordered, downtime estimated and scheduled, and replacement can occur on schedule, prior to failure. A Predictive Maintenance Replacement Schedule – This would indicate that historically in the current operation the guide has an estimated lifespan. Predicting the failure and scheduling replacement or maintenance of a failed or out of spec component is the best way to ensure uptime and uninterrupted production. Examples of machine components that fit well into a predictive maintenance program are pumps and rotors, guide and wear plates, pressure cylinders, severe duty motors and necessary cutting or lubrication fluids and machine consumables in milling and turning applications. Many times your local service outlet for the manufacturer, or the manufacturers directly, can help build a predictive maintenance program and help provide necessary spares. When a shop is able to successfully introduce and implement a maintenance program involving proactive maintenance techniques such as preventative and predictive maintenance, equipment condition improves, uptime improves and employee moral often improves at the same time, which can bolster quality and production – many times completely erasing any cost of the program implementation. Reducing “reactive” maintenance, and the downtime and scrap that comes with it – that’s an added bonus. To implement a proactive maintenance stance in your company, simply start at your owner’s manual. Most reputable machine tool manufacturers will include a schedule of maintenance requirements along with intervals. Create an environment where preventative maintenance is encouraged among shop workers and maintenance personnel. Perform periodic audits of preventative maintenance reports and verify that all machinery is receiving the level of attention necessary to stay in good running condition. For annual service, contact your local authorized service center and inquire about getting scheduled service intervals set up for your machinery. In many cases, the service centers will group customers by schedule dates and offer discounted rated to save travel time. In other cases, consumable material providers will consider performing a visual check of your machines at no additional cost, which can help indicate potential problems before they affect the bottom line. Founded in 2004, The Service Guys, co-owners Chris Tarvestad and Dave Meyer, have been repairing band saws and fabrication machinery all over the Upper Midwest and beyond for decades. The Service Guys are based out of Anoka, MN, and serve mainly the Upper Midwest, including Minnesota, Wisconsin, Iowa, South Dakota, and North Dakota. Chris and Dave have traveled across the country and sometimes even perform international work upon request. What began as strictly a repair service quickly adapted to include the sale of aftermarket saw parts and new band saw machines. Metal-working shops seek out The Service Guys when they need quality service and advice, free of ulterior sales motives.